Other than an early family holiday and a single trip to Barcelona in my early twenties, my first real taste of Catalunya was in 1984. Penniless and without purpose, I was walking down the coastal road from Port Bou to Llança on a June afternoon, when I was caught in a terrific rainstorm. A car pulled in and gave me a lift. The driver was the painter Lluís Peñaranda. So began a friendship that lasted until his death last December. I went to an exhibition of paintings by Lluís the year that we met and was astonished by his representations of the landscape of the Ampurdan, that rocky edge of the Pyrenees that flattens out into a plain flanking the Costa Brava. His work is pervaded by an elemental iconography of dark cypresses, multicoloured fish, silver moons. It is a parallel, but distinct landscape to the one the world knows through the work of another son of the Ampurdan, Salvador Dalí. Barcelona’s Gothic Quarter. I returned to live in Catalunya in 1988, and settled in Barcelona. The city was preparing for the Olympic games, held in 1992. There was a chaos of excitement that little more than a decade after emerging from the dictatorship of Franco, Barcelona was presenting the new Spain to the world, or rather, the new Catalunya. Catalunya used the Olympics to inform the world that it was not Spain. Its policies of linguistic ‘normalization’ (the term used for the dominance of Catalan in all public documents and undertakings) and the fact that all state-funded education took place through the medium of Catalan created a new atmosphere: perceived as legitimate self-assertion by the Catalans; regarded less favourably by many other Spaniards. I left Barcelona in 1990, but returned many times over the summers that followed, staying with my young family at different houses in the Ampurdan area. In 2002-3 we moved to a small hill-village in Ampurdan near the French border (picture above). My daughters attended the local Catalan School and I worked on my novel, The Colour of a Dog Running Away. The following year we bought an old and run-down property in the village. Linguistically and culturally, this area is very proudly Catalan (in contrast to the international and largely Spanish-speaking city of Barcelona). Since I had been coming to the area for twenty years, I had made friends with Catalan writers and artists and got to discover more about the history and culture of this small corner. 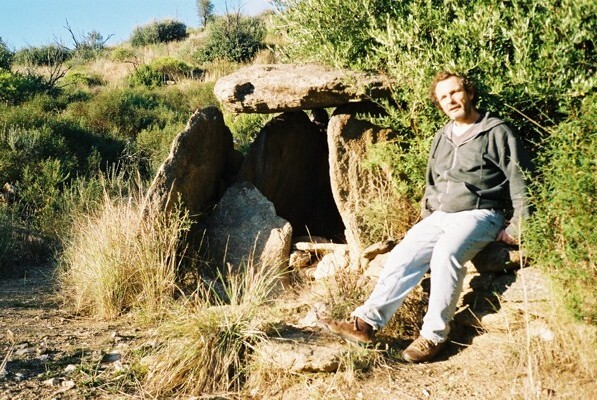 The Albera Mountains, that extend from the High Pyrenees towards the sea, falling away towards the coast at the northern end of the Costa Brava, are home to many Neolithic remains, notably standing stones (menhirs) and a profusion of burial chambers. I am very fond of a burial chamber, although I have no wish to be buried in one. There were many Jews in this part of Spain before the expulsions of 1492. Many of them converted at that time, and there is a widespread belief that Catalans carry a significant charge of Sephardic blood, whatever that means. Blood is blood. There are no races, only ideas about races, which are mostly based on wrong information or the contrasting prejudices of boastfulness (e.g. a proud Celt) and bigotry (too many examples to cite) . In any case, I like the idea of a dedicated ‘Village of Jews’ in the heart of the Alberas, on the edge of the Cap de Creus. Elephants passed this way. The children, once their initial terror had passed, stared big-eyed, while clutching their mothers’ skirts, pointing at the swinging trunks as the beasts lumbered across cornfields. 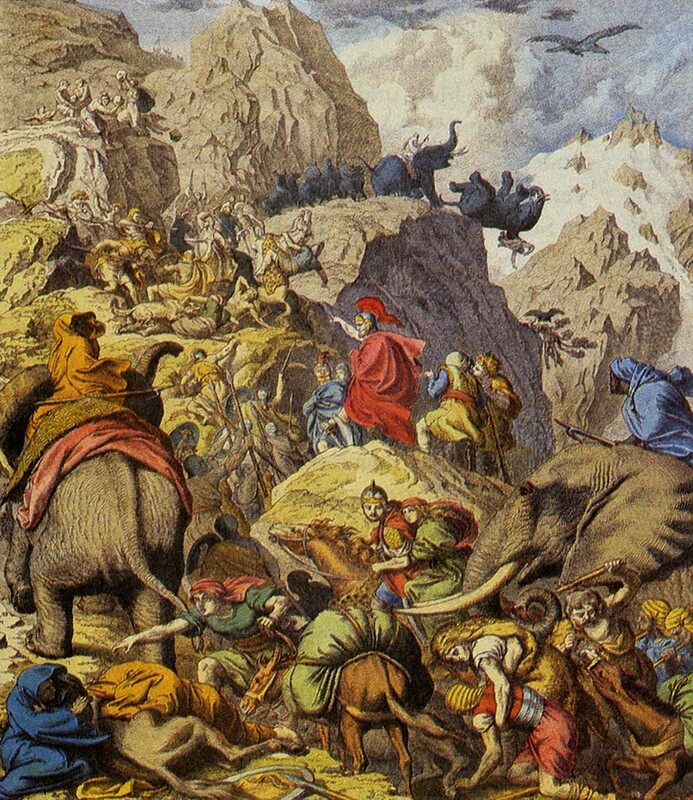 Warriors rode on the elephants, but paid scant attention to the villagers who lined this section of their route. What were the elephants doing in this well-tended land? Where were their riders’ leading them? It was said by some that they were heading towards a distant war. Why would an elephant go to war? Because they are driven there by the riders. But how? The elephants are so big and strong. The riders are so puny. The elephants go where they are driven because that is what they are accustomed to. The children of this hillside village will tell the tale of the elephants to their grandchildren. It will become myth. The elephants will never be seen again. They will cross the mountain pass and head into the plains beyond, until they become an improbable vision on the horizon. Specks on a vast green canvass. The elephants will not return.